CIVIC’s Jan Meslin at SCOTUS with thousands of passionate people supporting DACA & DAPA (April 18, 2016). In November, 2014, President Obama announced executive action related to immigration. The action, Deferred Action for Parents of Americans (DAPA), defers deportation proceedings for qualified parents of U.S. citizens and lawful permanent residents for at least three years. The action also expanded Deferred Action for Childhood Arrivals (DACA) to include individuals who entered the U.S. before 2010. (The original policy, enacted in 2012, only impacted individuals who entered the country before 2007. The original policy has not been challenged in Court.) Soon after the announcement, Texas and 17 other states filed suit in federal court, seeking to enjoin, or block, the implementation of these policies. A federal judge in Texas, followed by a divided Fifth Circuit Court of Appeals, issued and upheld, respectively, a preliminary injunction. This halted the performance of DAPA and the expansion of DACA. The courts held that (1) Texas has standing to bring the lawsuit and (2) has a likelihood of success on the merits of the lawsuit. The narrow procedural ground on which the courts concluded a likelihood of success was based on the government’s alleged failure to comply with certain requirements of the Administrative Procedure Act (APA), specifically the “notice and comment” rulemaking. 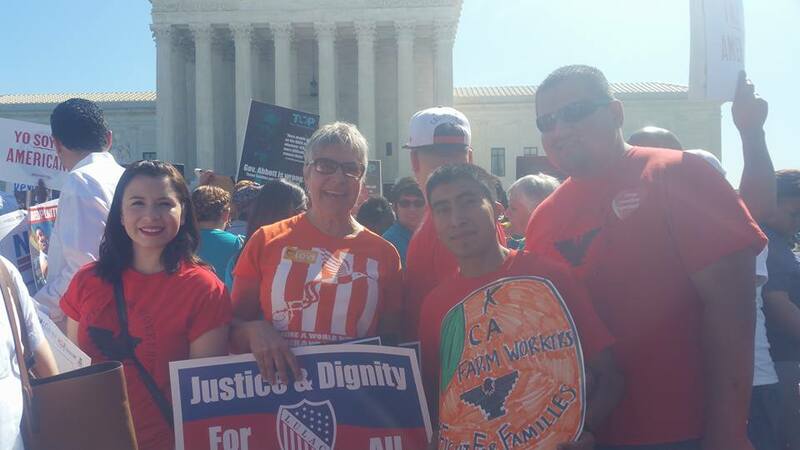 However, when the Supreme Court of the United States agreed to review the case, it took the unusual step of asking for additional briefing on the constitutional question of whether DAPA violates the “Take Care” Clause in the U.S. Constitution. Specifically, the Supreme Court ordered the President to justify DAPA and prove that his executive action is consistent with congressional intent and does not create new law. The first is within the Take Care Clause of the Constitution, while the second would violate the Constitution. 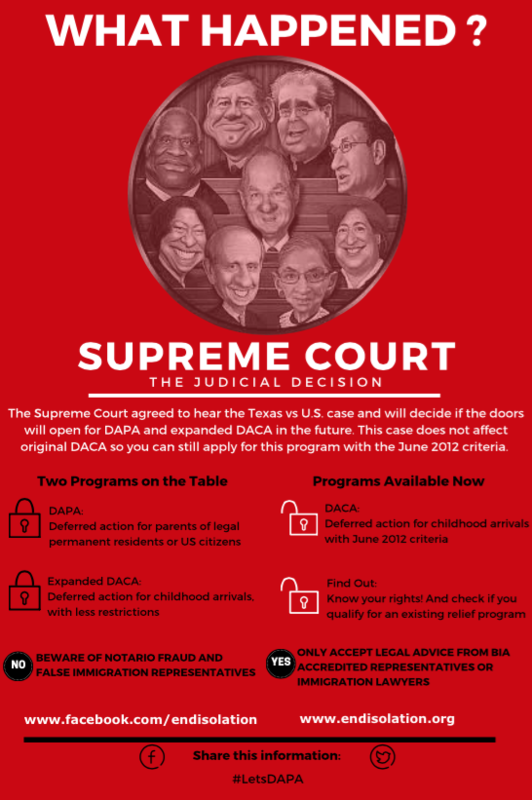 The real issue before the Supreme Court is whether DAPA or the expanded DACA violates the “Take Care” Clause in the Constitution. Article II, Section 3, Clause 5 of the U.S. Constitution simply provides that the President, “…shall take Care that the Laws be faithfully executed…” The clause was designed to ensure that laws are dutifully or “faithfully” executed by the President, even if he disagrees with the purpose of that law. It requires the President to obey and execute the laws passed by Congress. However, the President possesses wide discretion in deciding how and even when to enforce laws. Absent specificity in the law or clarification by the courts, the President also has discretion in interpreting the meaning of the laws he must execute. What does this mean as applied to DACA? It should also be noted that Justice Kennedy wrote the decision for a 5-3 Supreme Court, as Justice Kagan had recused herself from participating in the decision. The dissenters were Justices Scalia, Thomas and Alito. This balance would tend to bode well for the current eight member Court to decide in favor of the President’s power to enact DAPA. 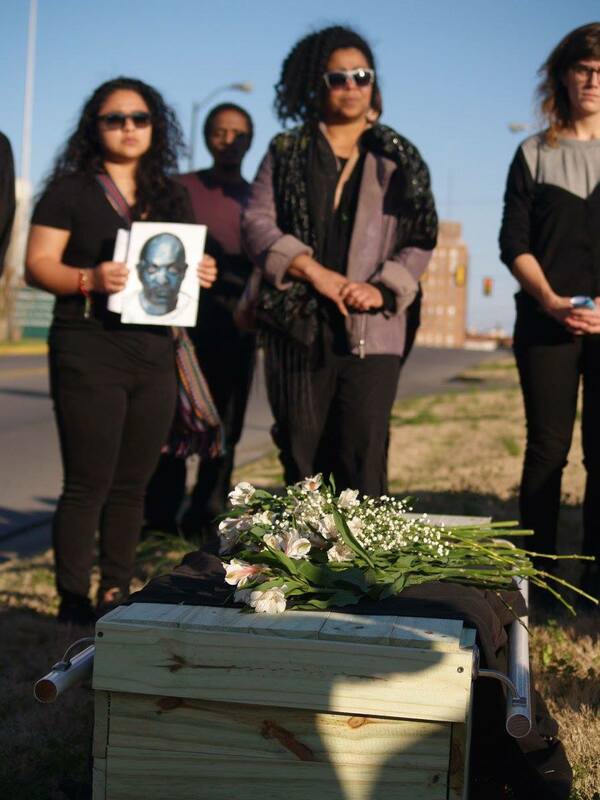 Teka Gulema died, but ICE has failed to report his death. Read CIVIC’s Complaint regarding the death of Teka Gulema and a pattern and practice of medical neglect at the Etowah County Detention Center. Teka Gulema has passed away, but ICE has failed to report his death. Mr. Gulema contracted an infection while he was detained in the Etowah County Detention Center. After a failure to properly treat the infection, ICE “released” Mr. Gulema from custody, although he remained immobile in the same hospital bed in Gadsden the ICE had transported him to, thereby avoiding the agency’s obligations to report Mr. Gulema’s death to government entities and the public. His death will not be counted in ICE’s death toll, but we will keep his memory alive. Supreme Court Will Hear the Texas v. US Case! Join John Legend – Let’s #FreeAmerica, #EndIsolation, and #DefundDetention in the United States! Since 9/11, the federal government has relied heavily on immigration law and policy to prosecute the so-called “War on Terror.” Because the process of arresting someone under immigration law rather than criminal law has fewer checks and balances, the federal government has abused the immigration legal system in a way that discriminates against Muslim immigrants. CIVIC, with its partner organizations such as the Islamic Shura Council, stand beside Muslim immigrants. Learn more about the detention of Muslim immigrants in this 10-minute talk given by CIVIC’s Christina Fialho to the Islamic Shura Council of Southern California. The current model of immigration detention oversight by the government does not effectively address or prevent human and civil rights abuses. Only ICE and its umbrella agency, the Department of Homeland Security (DHS), conduct audits of immigration detention facilities. As there is no independent oversight, there are untold and unrecorded abuses. Those that do get reported, rarely get investigated. 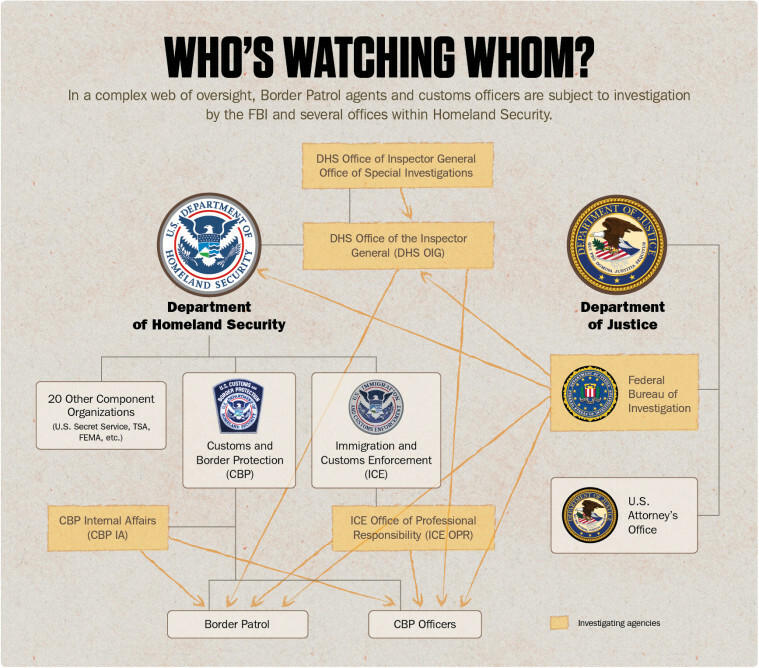 The Office of the Inspector General (part of DHS) is not only overworked, it also has failed to investigate, lied about work done, and covered up lies. The Office for Civil Rights & Civil Liberties (also part of DHS) was established by Section 705 of the Homeland Security Act. There is no other title like this in the federal government. There are no models to follow, and the terms of the statute are quite broad, leaving the Office with virtually little or no power. For these reasons, CIVIC is committed to doing true monitoring of immigration detention facilities. CIVIC documents, categorizes, and verifies to the extent possible human and civil rights abuses in immigration detention facilities across the country on a daily basis. We are in direct contact with people in immigration detention through visits, tours, and our national hotline. We use the data and stories we gather to engage in advocacy to address rights violations. You can learn more about our unique and innovative form of independent and consistent oversight here. Help Us Answer the Call — Give the Gift of Communication! On behalf of Community Initiatives for Visiting Immigrants in Confinement (CIVIC) and Asian Americans Advancing Justice-LA, the American Civil Liberties Union of Southern California (ACLU of SoCal) sent a letter to ICE this morning about the unlawful denial of access to hunger strikers. On November 19, 2015, Jacqueline Dan (an attorney at Asian Americans Advancing Justice-LA) and her legal assistants were informed by GEO staff that the Adelanto hunger strikers were “on a list” and that ICE approval was required before those individuals would be granted legal or non-legal visits. No legal ground was offered for the denial. Later that morning, Ms. Dan and CIVIC’s co-executive director Christina Fialho received a message from ICE, stating that clearance was denied. Again, ICE failed to disclose a purported basis for the denial of attorney access to detainees. Two days earlier, Ms. Fialho, also an attorney, requested in writing clearance for certain non-attorneys to accompany and assist Ms. Dan with an upcoming legal visit scheduled for November 19, 2015. The request identified by name each of the non-attorneys and detainees and complied with the standard format and practice for requesting access. The list of detainees included some of the hunger strikers. “The denial of access by ICE violates the hunger strikers’ First Amendment and Due Process rights to protest their prolonged detentions and the conditions at the Adelanto Detention Facility, violates their right to confer with prospective counsel, interferes with the practice of law, and improperly burdens public interest organizations,” states the ACLU of SoCal letter. The denial of access represents an ongoing and troubling pattern of retaliation, and raises real concerns about mistreatment of people in immigration detention at this infamously abusive for-profit facility. On other occasions, GEO and ICE have arbitrarily and without valid grounds denied access to attorneys and visitor volunteers associated with CIVIC in retaliation for peaceful protest activities and public statements protected by the First Amendment. CIVIC with pro bono representation from the ACLU of SoCal and Sidley Austin LLP raised those concerns in a letter dated August 24, 2015, which to this day neither GEO nor ICE has responded to or in any way denied. 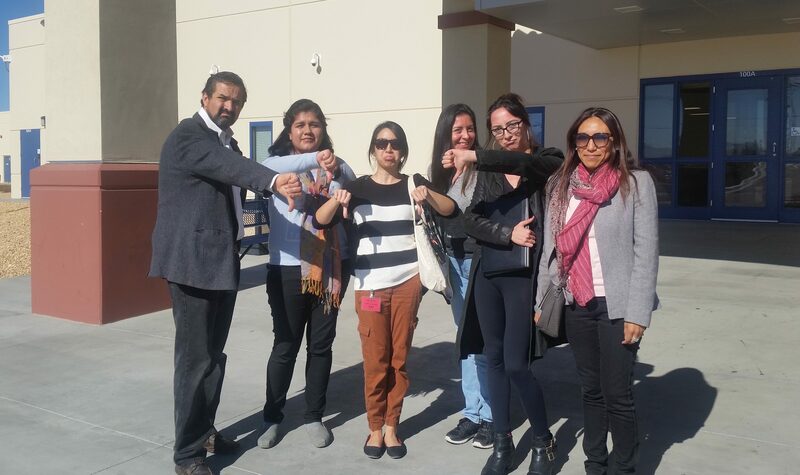 “Both ICE and GEO Group are depriving the hunger strikers of access to counsel and community support in unlawful retaliation for shining a light on their inhumane confinement at the Adelanto Detention Facility,” said Christina Fialho, attorney and co-executive director of CIVIC. If the organizations do not receive a satisfactory response from ICE by Wednesday, November 25, 2015, the group intends to take prompt legal action in federal court to halt these unlawful practices. Join the Unitarian Universalist Service Committee to hear the highlights of our new mental health report documenting the poor care women and children are receiving while in detention. Learn how you can help these asylum-seekers before and after they are released as they create new lives for themselves here in the United States. The call will cover the latest advocacy updates and hear about service needs from the perspective of experienced local service providers. Email Jan Meslin at JMeslin@endisolation.org for the conference call information. 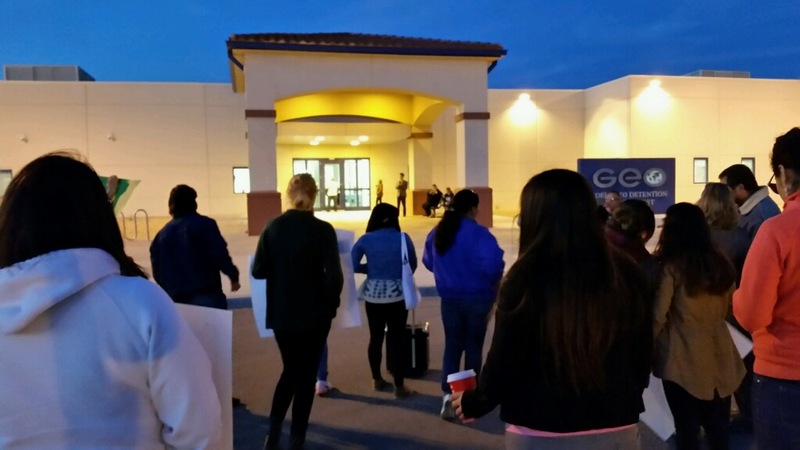 On November 5, 2015, family members of people in immigration detention and their allies gathered outside of the Adelanto Detention Facility to show their support for the women and men on hunger strike in Adelanto and across the country. On the morning of Friday, October 30th, at least 20 men began a hunger strike in the West Building at the Adelanto Detention Facility. Shortly after, 320 men in the West Building joined the hunger strike. The men are on strike because every person deserves adequate medical care, edible food, and the opportunity to breathe fresh outdoor air each day. On the morning of Wednesday, November 3rd, 90 other men in the East Building joined, calling for their freedom. This is the fourth hunger strike to occur in the last three weeks in a U.S. immigration detention facility. 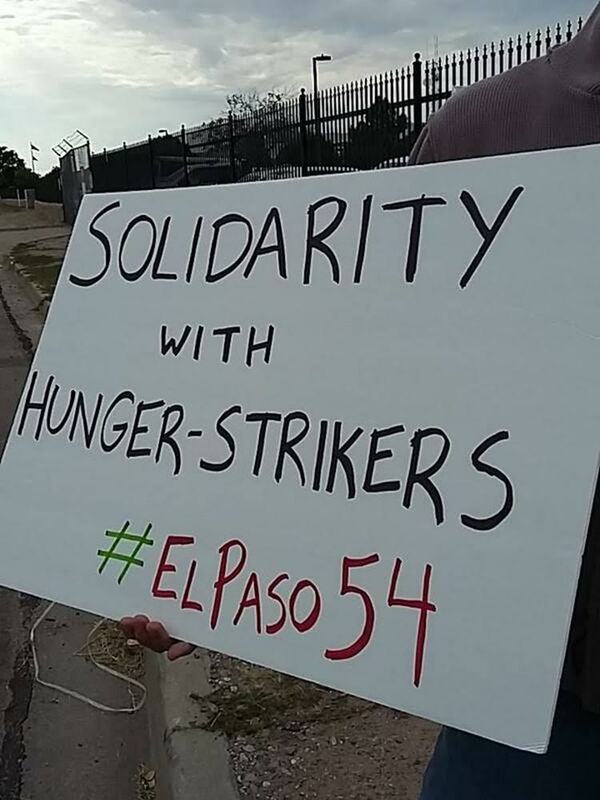 On the morning of October 14th, 54 South Asian asylum seekers from Bangladesh, India, Afghanistan, and Pakistan refused food and water at the El Paso detention center (Texas). CIVIC’s Jan Meslin joined a group of community leaders outside the gates of the detention facility in solidarity. On October 28th, 27 women at the T. Don Hutto Facility, a facility in Taylor, Texas, ran by Corrections Corporation of America (CCA), began a hunger strike. By the following week, 400 women were refusing food. According to Grassroots Leadership, the women were unanimous about their one and only demand: release. The Obama Administration’s immigration incarceration system has failed, despite attempts at reform. Detention facilities across the country are not safe and consistently fail to meet basic minimum standards. These brave men and women on hunger strike are not only protesting shameful conditions inside detention, but also fighting for one another. They are inspired by one another. CIVIC calls on President Obama to listen to the pleas from these women and men and take immediate steps to end the arbitrary and abusive process of detaining immigrants. CIVIC stands behind the over 400 men on hunger strike at Adelanto and the approximately 500 other brave women and men who have gone on hunger strikes over the last three weeks in immigration detention facilities across the country. We are here to support them, and we want to remind ICE that we are watching for retaliation. “We will be back,” chanted the participants in Thursday’s vigil outside the Adelanto Detention Facility, as they walked away from the facility.